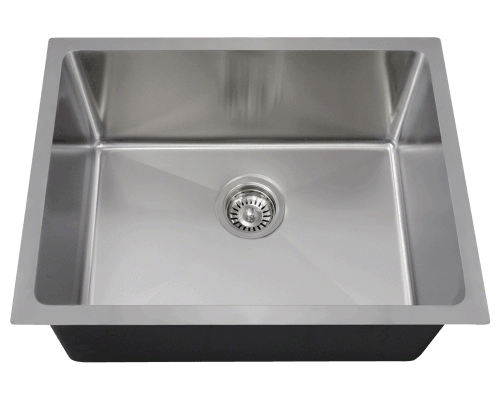 A stainless steel kitchen sink is a great investment, as they are so beautiful and easy to maintain. 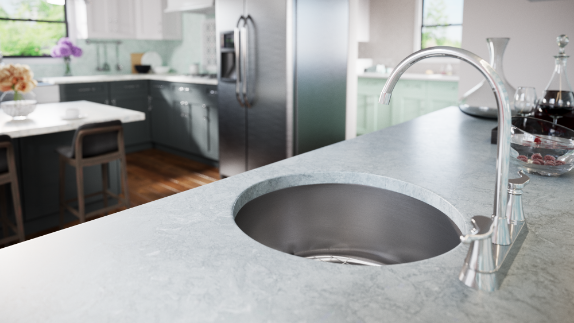 Though our sinks are protected from corrosion, everyday use with water, soaps and other harsh chemicals, and greasy foods can have an effect on the beauty of stainless steel. 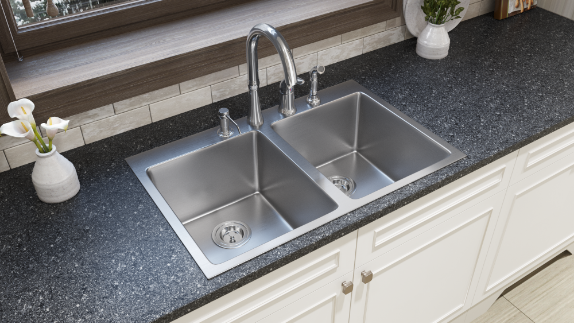 One of the best ways to keep your stainless steel sink looking good is prevention. 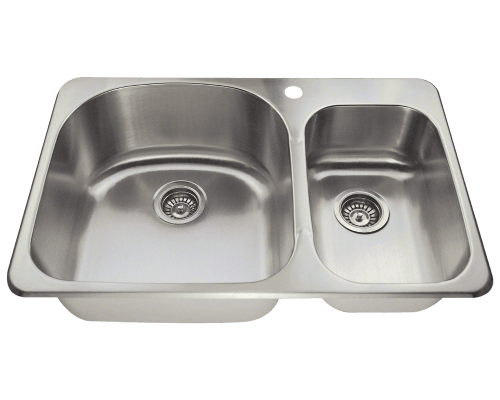 Hot water is one of the best cleaners for a stainless steel sink! Many detergents on the market today contain chlorides, which can eat away at steel if residue is left on the sink, so remember to rinse your sink well after using it. It is important to prevent detergent, oil and water from sitting on the surface of your sink for an extended period of time. 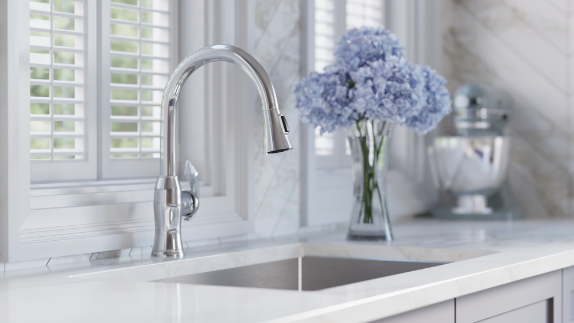 Every time you use your sink, it is a good practice to wipe it down with a clean rag or paper towel. Regularly wiping down your sink with a stainless steel sink cleaner is all that is necessary to keep your sink sparkling clean. 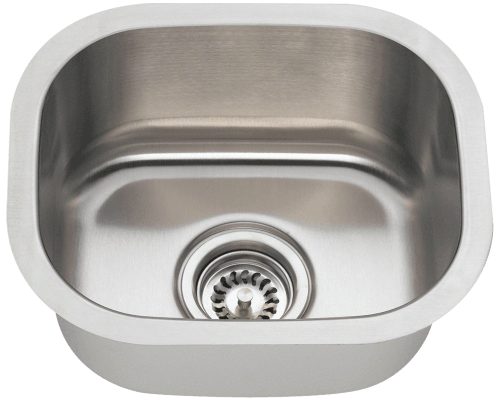 What is the best stainless steel sink cleaner? 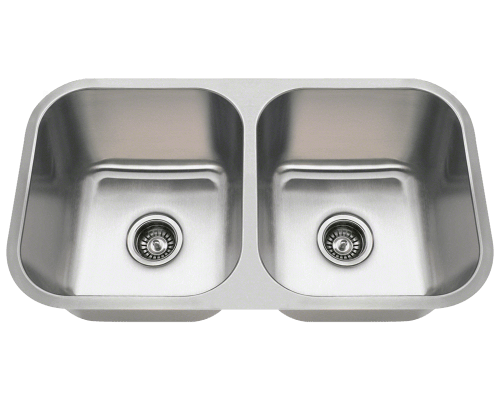 It turns out the best cleaner for a stainless steel sink is an easy homemade and natural cleaner! To make this DIY cleaner, simply make a paste of baking soda and water. Gently rub this on your stainless steel sink in the direction of the steel grain whenever you notice your sink needs a refreshing. For extra grimy spots, use vinegar instead of water and let it sit for a few minutes before scrubbing away. 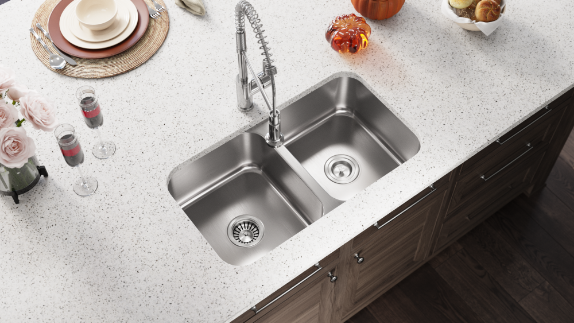 If you want to give your sink that extra sparkle and shine, you might consider using a stainless steel sink polish. It might come as a surprise that the best stainless steel sink polish is just a little olive oil on a clean dish rag. A few drops of oil rubbed in small circles on the stainless steel on a clean rag will gloss and polish like a charm. Use this method whenever you want your kitchen to have that little bit of extra glamour, and you’ll be sure to impress!